Firms often train workers, and nearly always for very specific reasons. We are most familiar with how they teach specific skills for their equipment and procedures, including re-training people when these change. Whether we’ve taken such training ourselves or have worked with assistants or administrators who have done so, we understand that such training is important for both the organization and the worker: it should help the worker produce more valuable output (which they can share), and it is more valuable if the organization can retain the worker on the job longer after training. But the reality is that many workers don’t stay on the job very long, either because they experience a lack of fit with the employer or they have difficulty meeting the organization’s expectations of them as an employee and continuing to manage their responsibilities outside of work. This is especially true for women entering the workforce for the first time whose domestic roles haven’t prepared them for work. It is also true for people with self-employment backgrounds such as families doing farming or craftwork. 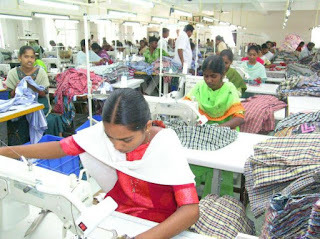 Such first-time workers are the focus of an article in Administrative Science Quarterly by Aruna Ranganathan, who studied women entering the workforce for the first time as employees of a garment factory in India. Many of these women didn’t last long on the job: about a third left within three months of hiring. As expected, the employer provided training to help new workers get up to speed. But what was unusual is that the content of the training differed depending on the trainers’ experience, and the content made a big difference in attrition rates. Ranganathan found that less-experienced trainers in the factory focused on teaching the new employees assigned to them only job-specific skills, such as how to use a sewing machine. These trainers saw their goal as teaching the “equipment and procedures” knowledge I referred to before. More-experienced trainers taught job-specific skills and also provided more general work-readiness training that focused on skills related to self-presentation, interpersonal communication, work–life separation, and self-reliance. Clearly this is a different form of training because it is a way of socializing the first-time women workers, helping them feel comfortable in their workplace, behave as expected, communicate well when needed, and work independently when needed. These activities are natural for many people who are socialized into workplaces early in life through exposure to an organization such as a university or a business. The women studied by Ranganathan came from rural villages, where such socialization is hard to get. Successful work-readiness training, which decreased the numbers of women quitting shortly after they were hired, was important both for the firm and the employees: re-hiring is costly for the firm, and leaving paid work as a result of lack of fit hurts these women’s income and further employment chances. Socialization training was different from job-specific training because the trainers didn’t work from a checklist of skills to impart. Instead, the experienced trainers seemed to have a natural understanding of what the new workers could experience as problems; they taught new employees how to get to work on time in the morning, showed them where the bathroom was, and encouraged them to take breaks for drinks of water, for example. Without the benefit of a checklist of such seemingly simple (yet clearly important) skills to teach, less-experienced trainers didn’t teach them, perhaps because they didn’t understand the importance of such work-readiness skills. We rarely think of training as having such general goals to help employees feel ready to work. We rarely think of socialization as happening through training rather than through workers interacting formally. We rarely study how developing nations modernize through having people who were earlier engaged in farming or housework taking on the role of paid employees. Ranganathan’s research is eye-opening because it is right in the middle of so many important and neglected topics. Ranganathan, Aruna. 2017. "Train Them to Retain Them: Work Readiness and the Retention of First-time Women Workers in India." Administrative Science Quarterly: forthcoming.